Green Smoothies for the win! This week I started making a green smoothie for breakfast every morning as part of my whole30 and whole life challenge. The challenge I have is while I usually drink green smoothies in the morning, I normally use a protein powder like Vega One, Amazing Greens, or anything else I have in the cupboard. But on the whole30 and whole life challenge, I can’t have anything but natural and whole foods so protein powder is out of the question. I love my morning green smoothies so I decided to experiment. I have heard people say that putting avocado in smoothies is delicious. Even though I love avocados and smoothies, I’ve honestly never had the guts to try it for myself. This week I decided to get gutsy and make my first paleo green smoothie. And guess what? It was awesome! Now here’s the recipe. Coconut Water (I just pour enough in to make the smoothie have a good balance of liquids and solids). Once you place all the ingredients in your blender, blend it up! I use a magic bullet so it’s easy for me to get individual portions but you can use a big blender too. And if you want to make smoothies for 2, just double the amount of ingredients above. That’s what I normally do when I’m making green smoothies for me and my husband. 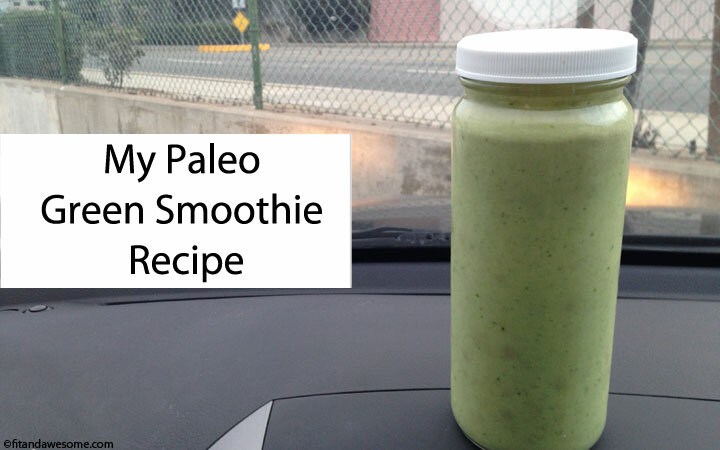 I have been drinking these paleo green smoothies while on the go so I pour them into glass containers with lid or mason jars so I can easily transport them. Or I store it in the fridge until ready to drink. Wow, these are so good. The avocado gives the smoothie a creamy and delicious texture. I never thought I’d be saying I like avocado in my smoothie..but here I am! I’ve also tried a couple variations of this where I use kale instead of spinach as my “handful of greens.” I was a bit nervous about the kale because it is a bit more coarse, but it turns out just as good. I also added a couple mango chunks to try and mask the flavor of the kale just in case. The green smoothie with kale and avocado was just as delicious as the one with avocado and spinach. Some of you might be wondering about the fat content in this smoothie because avocados and coconut milk are naturally high in fat. Please don’t get hung up about this. You’re getting healthy fats and healthy fats are good for you. Surprise surprise! 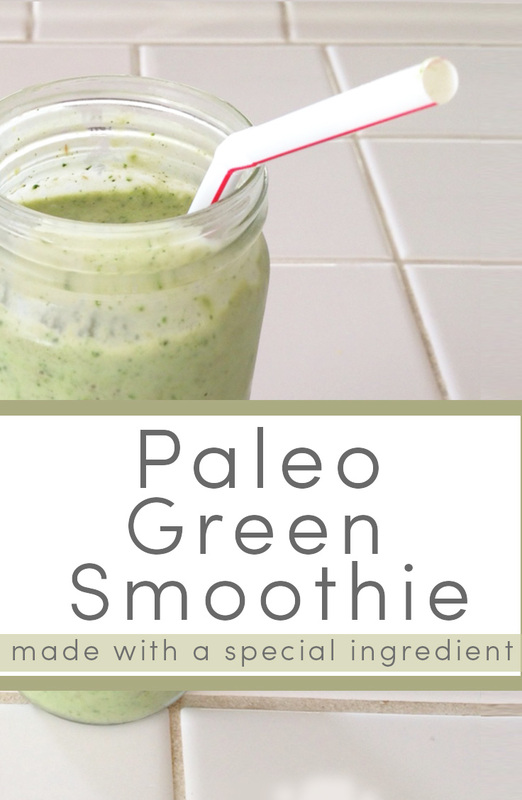 I highly recommend these paleo green smoothies as a healthy addition to your diet and I hope you enjoy them as much as I do! Go out and get your green smoothie on, and don’t forget to tell me how it turns out! What about you? Have you ever had a green smoothie? Do you enjoy them? How do you make your green smoothies? Post in the comments and let me know! This looks delicious! I can’t wait to try it. I left out the avacado but included strawberries and cinnamon yum! I can genuinely say I love this smoothie recipe! It’s my favorite one and have been obsessed with it since stumbling upon it in January. So filling, gets me through my early (5 am!) mornings and holds me over until lunch on most days. SO DELICIOUS. Thank you thank you thank you! Thanks so much for your comment. It means a lot to me! 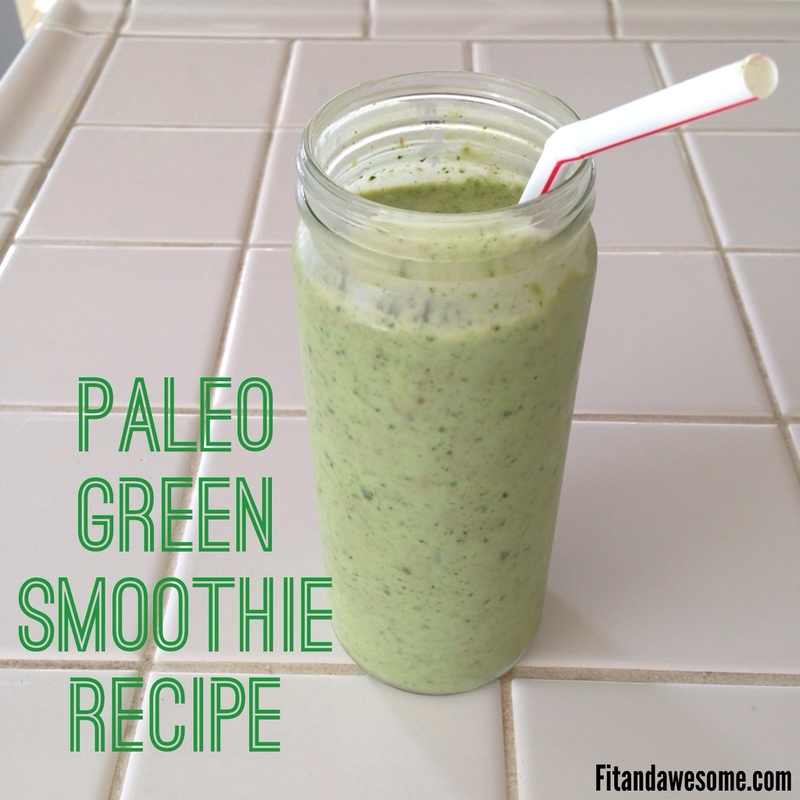 I am obsessed with this paleo green smoothie too and am glad I could help introduce you to its awesomeness. I make a smoothie basically identical to this one. I like using organic spinach or watercress as my greens since they are actually more nutrient dense than kale. That’s good to know! I think I’m going to make this smoothie for breakfast tomorrow with spinach. I just made this tonight and love it! Do you think blueberries would be a good add in??? Yay! I’m so glad. I love it too. I have never tried it with blueberries but I think it would taste yummy!